Apanemo studios are built with traditional architecture.It is fully equipped to make your stay amazingly hospitable. Our studios are located in Grikos overlooking the breathtaking view of the sea. A group of traditional houses, each stone and each post is taken from old buildings of Patmos and from that carved the sea. 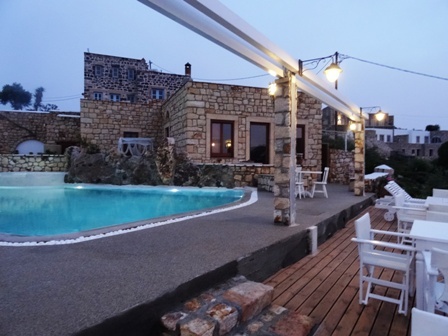 Situated in the best location and .... breathtaking views of the unique landscape of Patmos in the Aegean Sea. We welcome you to the friendly family atmosphere of Theologos' Traditional Luxury Houses and Apartments for rent in Patmos Island.